John Barry was one of the best-known composers of soundtrack music of the late 20th and early 21st centuries, but his career carried him through a multitude of music genres and styles. He was best-known in film in connection with his work on the James Bond pictures, but Barry was also the holder of five Academy Awards, none of them for the Bond movies. Born Free (for which he won Oscars for Best Score and Best Song), The Lion in Winter, Out of Africa, and Dances with Wolves are hardly unknown films or scores. Additionally, from 1957 until the early '60s as leader of the John Barry Seven, Barry was one of the best-known figures in popular music and early rock & roll in England. Born in York, England, on November 3, 1933, John Barry was the son of a small movie theater chain owner and a former concert pianist. He showed an avid interest in music as a boy and initially studied piano, although he switched to the trumpet in his teens. After spending much of his boyhood steeped in classical music, he discovered jazz -- his idol was Harry James and his favorite music was made by Benny Goodman, Duke Ellington, Woody Herman, and the Dorsey Brothers. Barry studied piano and composition with the music master of York Minster Cathedral, Dr. Francis Jackson, and had a deep interest in arranging. 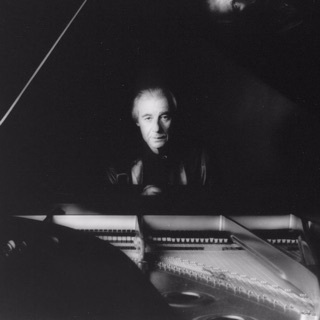 Growing up around his father's movie theater business, Barry was always cognizant of the power and influence of the cinema, but it was a specific film, A Song to Remember, dealing with the life of Frédéric Chopin, that first demonstrated to him the power of music in movies and got him interested in the field. 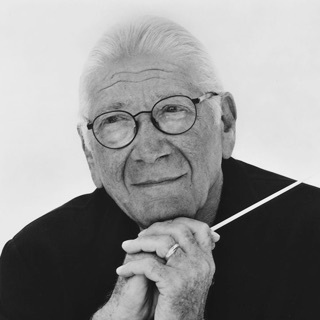 He also credits Max Steiner's score for The Treasure of the Sierra Madre and Anton Karas' music for The Third Man as favorite film scores from his early life. Barry played with a local jazz band in his mid-teens, and was lucky enough to get himself assigned to a musical unit in the British Army when he was called up for National Service at age 18. 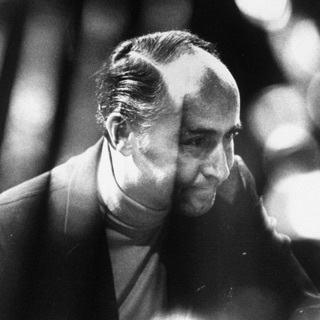 During his two years of Army service, he tried his hand at arranging, and he later enhanced his skills by taking a correspondence course offered by Bill Russo, one of Stan Kenton's arrangers. Once he was back in civilian life, Barry offered his arrangements to some of the top bandleaders in England, among them Ted Heath, Jack Parnell, and Johnny Dankworth. Dankworth actually used two of them, and at Parnell's suggestion, Barry started his own band. The result was John Barry & the Seven, later known as the John Barry Seven. He moved the group to London in 1957 and approached Jack Good, the producer of British television's top music showcase The Six-Five Special, but was turned down for the show. After a few weeks and some successful live engagements including a gig as the backing band for Tommy Steele, the show's producers changed their minds and the John Barry Seven made it onto The Six-Five Special. The group became immensely popular from their appearances on the program, and Barry was the star, not only playing trumpet but also handling the vocal chores. By this time, the rock & roll boom was going full swing, and his singing frequently required Barry to do his best Elvis- or Carl Perkins-style vocalizing. It was out of their appearances on the program that they were signed to EMI's Parlophone Records label. The group's next big gig was as one of the resident house bands for Good's new program, Oh Boy!, which was a showcase for many of the most dynamic young rock & roll singers coming up in England, including Cliff Richard. It was from there that Barry moved on to become music director for Drum Beat, a dramatic program starring a young singer/actor named Adam Faith. From 1959 until 1962, he and Faith were an unbeatable combination, both onscreen and in the recording studio, releasing a string of major British hits through the Parlophone label. During this period, Barry also arranged and led the accompaniment for numerous other EMI recording artists, including Desmond Lane, the England Sisters, and Bill and Bret Landis. The John Barry Seven also enjoyed hits of their own, including "Hit or Miss" and a version of the Ventures' "Walk Don't Run." They were known for their unusual sound, owing to their bold yet precise playing and their heavy use of electric piano and other relatively uncommon instruments (this in a time when the electric bass was barely tolerated). They were among the star instrumental acts of the day and, surprisingly, cut albums for EMI's Columbia Records, which was already the home of the Shadows, the group's biggest rivals. In 1960, Barry was also invited to write his first film score, for the juvenile delinquency drama Beat Girl starring Adam Faith. The results were an impressive mix of brass, heavy electric guitar (courtesy of John Barry Seven guitarist Vic Flick), and orchestra. Barry also later devised an entire album, Stringbeat, in which he juxtaposed the group's sound with that of a string orchestra. Barry was involved with numerous projects of all kinds during this period. Although it seems hard to believe in retrospect, at that point, the John Barry Seven were the major rivals to the Shadows, Cliff Richard's backing group, who were known for their instrumental singles. The group started the year with a release called The Cool Mikado, an update of the Gilbert & Sullivan operetta, but there were far more important milestones in his career that year. Barry was engaged by the producers of a film called Dr. No to write and arrange a finished score from work begun by composer Monty Norman. The film itself was a hit and Barry's work sufficiently impressed the producers, Harry Saltzman and Albert Broccoli, to get him the gig writing the full score for the next movie, and for more than two decades' worth of subsequent James Bond movies up through 1985's A View to a Kill. Several of these featured songs that Barry had co-written, including "Goldfinger," "Thunderball," and "You Only Live Twice," became hits of varying proportions and longevity in their own right for artists such as Shirley Bassey, Tom Jones, and Nancy Sinatra. The best of his James Bond songs may be the most unusual, "We Have All the Time in the World" from On Her Majesty's Secret Service, which was sung by Louis Armstrong. If Beat Girl had established Barry's British film credentials, Dr. No and the next two movies in the James Bond series, From Russia with Love and Goldfinger, made Barry's name international. It was with Born Free, however, that he moved into the front ranks of popular film composers, with the score and the Oscar-winning title song. From then on, he was in a position to score some of the biggest and most daring films being made in England or Hollywood, ranging from the hourlong experimental film Dutchman to high-profile dramas like The Lion in Winter (for which he won his third Oscar). In 1962, the same year he composed the music for the first James Bond movie, Barry also left EMI to join the independent Ember Records label. 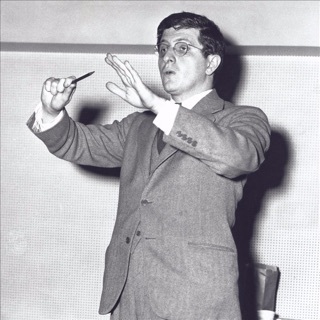 In addition to doing his own recordings, Barry produced and arranged the music for dozens of Ember artists, including Chad & Jeremy, and also produced such best-selling comedy albums as Fool Britannia, Anthony Newley and Leslie Bricusse's savage satire of the Profumo scandal that had nearly toppled the British government.